Emmanuel “Pacman” D. Pacquiao has a lot going on these days. Apart from being a Philippine senator, he is also a celebrity, businessman and a world-renowned boxer currently preparing for his next fight on July 2, 2017. 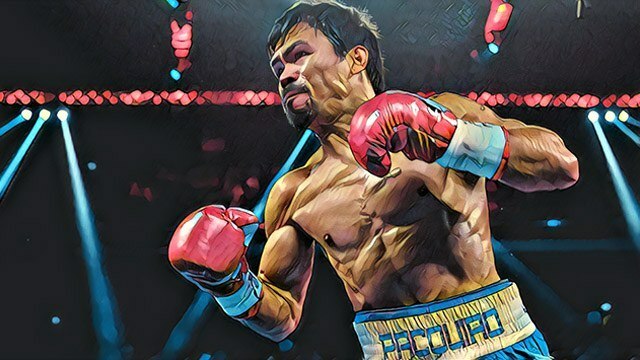 While the money Pacquiao will earn from the upcoming match is not as big compared to what he got from his bout with Floyd Mayweather in 2015, it may be enough to put him back in Forbes’ list of the world’s 100 highest-paid athletes. He’s been on the list for a number of years but dropped out in this year’s list. Whether he’s on the Forbes list or not, Pacquiao’s net worth remains high at Php3.1 billion, slightly lower than the previous year’s figure of Php3.3 billion. That makes him one of the country’s richest politicians. A close look at Pacquiao’s assets, based on his 2016 statement of assets, liabilities and net worth (SALN), shows he has a preference for tangible assets rather than financial investments. About 46 percent of his assets comprise of real estate properties. He has a total of 101 properties nationwide, including a mansion in Forbes Park. He also has a prime real estate in Hancock Park in Los Angeles, which was purchased at Php115 million. Another 43 percent is made up of cash, jewelry and other personal properties. About four percent consists of car and other vehicles. - Enterprises under Pacquiao Group of Companies, which include Roadhaus Economy Hotel, Pacman Wildcard Gym, JMP Shalom Travel and Tours, Pacman H20, Team Pacquiao Store, MP Princess Digital Printing Solution and Pacman Beach Resort. After RWM Attack: Should You Rush to Hire a Security Guard for Your Shop?